Taylormade Landscapes is a trusted local paving company operating throughout Northwich and surrounding areas. 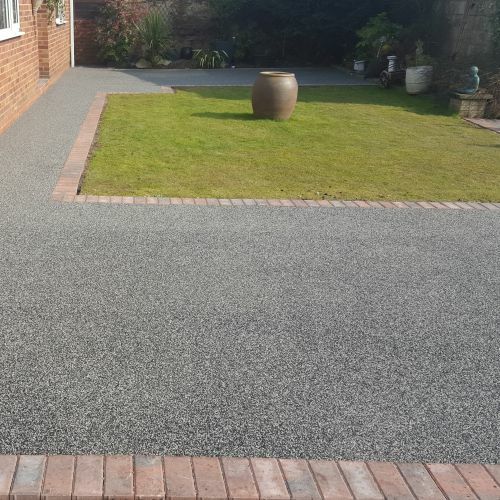 We specialise in all styles of driveways in Northwich, and produce outstanding surfacing solutions for both commercial and domestic customers. Our comprehensive range of services includes driveways, pathways, car parks, road repairs and pavement lowering, so you can be certain that our professional team are able to meet your specific requirements. Our fully qualified, highly skilled paving team work closely with local authorities and major contractors, so you can be sure that you will get superior results at affordable prices. From decorative driveways in Northwich to commercial car parks and industrial flooring, our 30 years in the field mean we really are the premier surfacing choice, so whatever the needs you have, contact us today! Block paving is a very good choice for your driveway. The stones have plenty of grip, so their excellent for winter. They don’t get slippery when wet and you’ll not need to worry about vehicle weight breaking the stones. 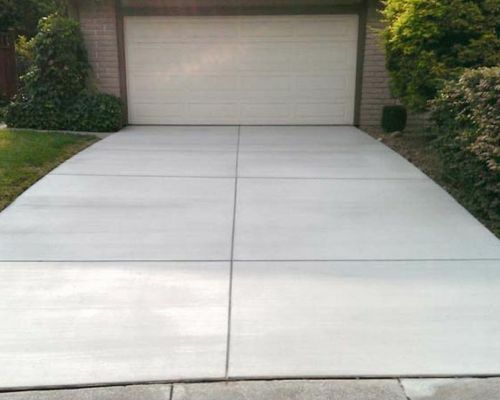 Some people think paving slabs is a good option for a driveway, but this is rarely recommended. Flags can and do crack much easier than block paving and flagging doesn’t stand up to weight very well and can lift. Block paved driveways don’t present such problems and can easily withstand pressure from even the heaviest of vehicles. A block paved driveway can be laid in a multitude of different colours and designs – the sky is the limit when it comes to the design. 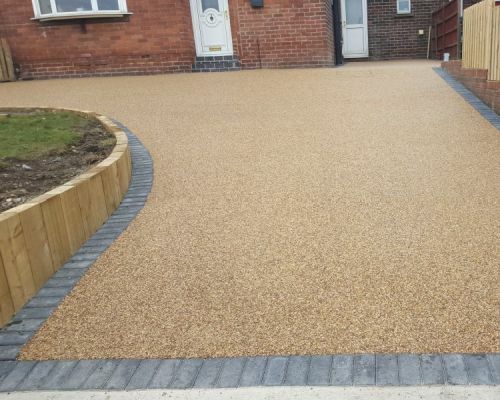 Resin Bound and Bonded Surfacing systems represent a cost effective alternative to the more traditional surfacing materials, producing a hard wearing drive and an almost maintenance free surface which is environmentally friendly and pleasingly decorative. 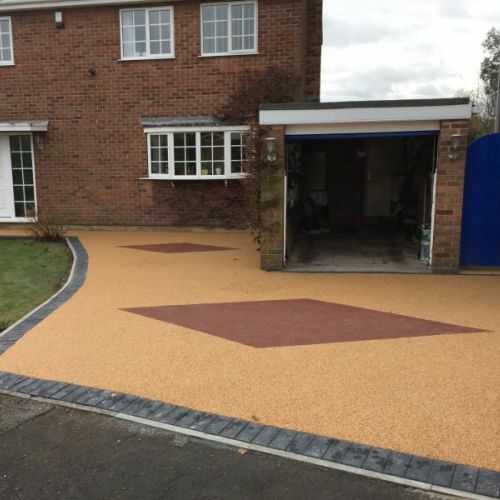 Resin Bound and Bonded Surfacing systems can be applied to most driveway surfaces and can be completed remarkably quickly, minimising any disruption to your Northwich property. Often the preferred choice for high traffic areas like car parks and road surfacing, tarmac driveways are highly durable and available in a number of different colours. When installed by a professional tarmac company they are quick and easy to lay. 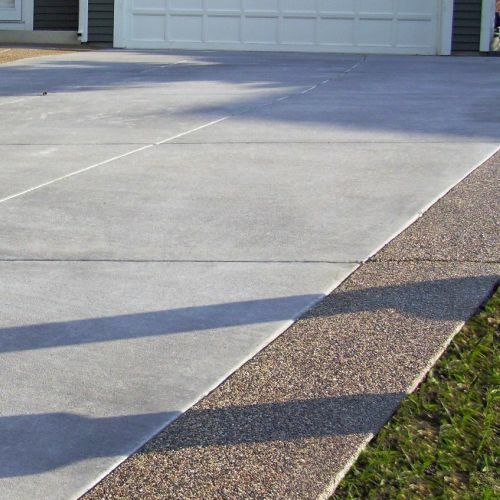 Tarmac is also very low maintenance, economical and practical for today’s modern homeowner. New tarmac is designed specifically to withstand the surface aggravation of power steering. Our gravel driveways gravel surfaces are laid over two compacted layers with a final gravel layer of 50mm. This alleviates sinking, movement of the gravel and tramlines appearing, meaning that this aesthetically pleasing material possesses the practicality and utility of harder surfaces such as tarmac and block paving when used correctly. Gravel driveways are known to last for many years and can really add some flair to your outdoor space. With the proper care and maintenance you’ll be able to to enjoy a gravel driveway for years to come, and it will increase the selling price of your property if you choose to move home. 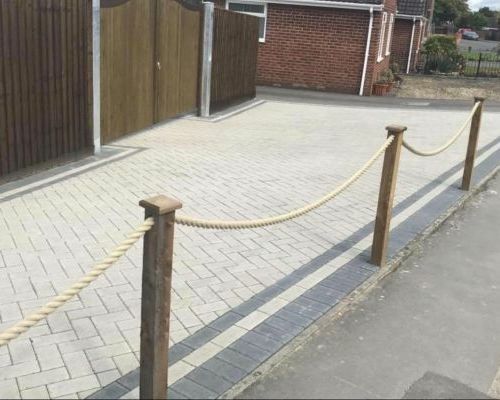 If you would like to arrange a free of charge, no obligation quotation for the installation of one of our driveways in Northwich, please contact Taylormade Landscapes today, or feel free to find out more about us.